The holidays are here, and it’s time to pick out the perfect gift for the one you love. On Cyber Monday, make sure premier, brilliant HPHT natural diamonds from Hadar Diamonds are on your list. What Do I Look for this Holiday Season When Buying an HPHT Diamond? Here’s a quick CyberMonday guide for buying a HPHT natural diamond. Only Type 2 diamonds can tolerate the HPHT process. Type 2 diamonds are very rare, representing only two percent of all diamonds mined. Ninety-eight percent of diamonds belong in the Type 1 classification, and cannot undergo the HPHT process. Make sure you know which classification you’re examining when buying your diamond. Mature diamonds fall into the D, E, F, and G color grades. HPHT natural diamonds also come in colors, like red, pink, yellow, or blue. The HPHT process can trace what natural color hues the diamond naturally possesses, and the process brings those hidden colors out through the maturation process. 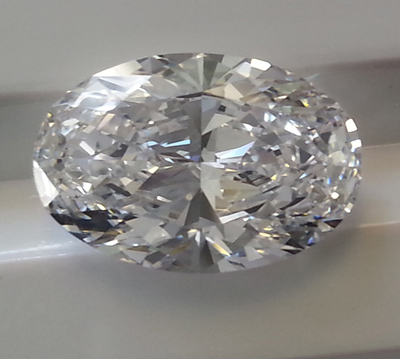 The HPHT process can be applied to diamonds of a higher clarity grade, such as flawless, VVS1, VVS2, VS1, and VS2. Any lower grade of clarity could cause the stone to explode or rupture during the HPHT process. Because HPHT diamonds are natural diamonds, there’s no difference between an E VVS1 HPHT diamond and an E VVS1 100% natural diamond, except price. The characteristics of both stones are the same, according to the GIA. However, the natural stone is typically at least twice the price as the HPHT stone. At Hadar Diamonds, we encourage you to experience the fascinating process of an HPHT natural diamond by watching this video. If you’d like to learn more about the most stunning, high-quality GIA-certified HPHT natural diamonds, explore some additional facts about HPHT natural diamonds or contact us, and we’ll be glad to share our expertise with you. We invite you to and take advantage of our awesome Black Friday and Cyber Monday sales. Hadar Diamonds is here to bring level of certainly and confidence when you present her with that special diamond ring. One that fits the budget. If you are interested in taking advantage of learning how Hadar Diamonds can meet your diamond and jewelry needs, invite you to contact Gerry at Hadar Diamonds at Gerry@hadardiamonds.com or via telephone at 858-737-4862. Text at 619-572-8100. All potential clients have an opportunity to view diamonds at home risk free. No charge. No obligation to buy. Free FedEx overnight shipping. https://www.hadardiamonds.com/preview-a-diamond/ View our website at www.hadardiamonds.com to see more. Here’s to a shiny, bright Holiday to one and all!